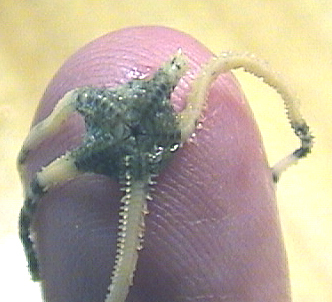 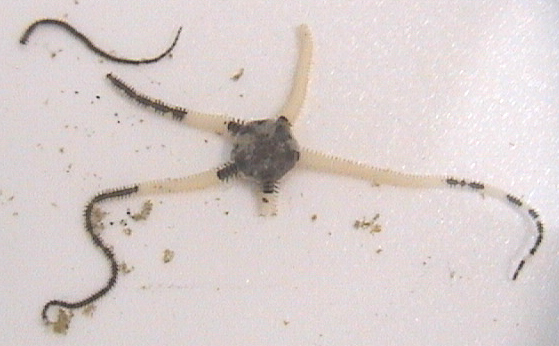 Dorsal (left) and ventral views: This tiny specimen may be a junenile of A. palmeri. 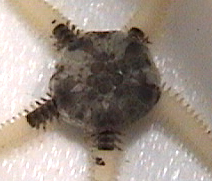 Arms are many times the length of the disk diameter. 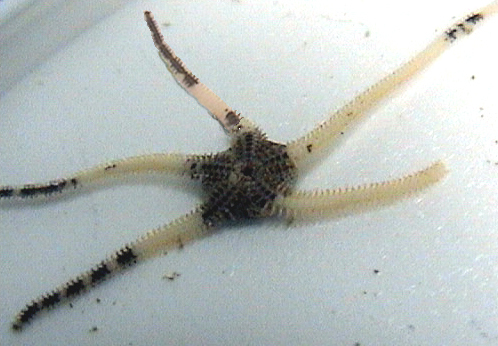 Ventral view showing scale coloration. 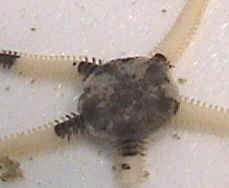 Detail of the disk's dorsal side.